Hello Kitty World Meets Otaku Camera Now Hello Kitty World Frames Available for Free in Otaku Camera! Tokyo Otaku Mode™ (TOM), a worldwide distributor of otaku content including anime, manga, and cosplay, as part of Tokyo Otaku Mode Inc. (incorporated in Delaware, U.S. by President and CEO Tomo Kamei) has embarked on a collaborative project that brings Hello Kitty World to its Otaku Camera smartphone photo app. TOM is now beginning to participate in collaborations between its app, Otaku Camera, and famous anime and manga characters. 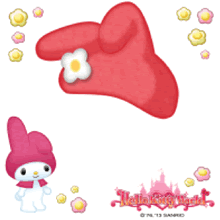 The first collaboration is with the popular iPhone app, Hello Kitty World. Beginning Feb. 5, 2013, Otaku Camera will feature Hello Kitty World frames. The frames will be available worldwide via the iTunes App Store and Google Play free of charge for a limited time. Otaku Camera launched on the iPhone in November 2012 and on Android devices in December 2012. The app has already placed highly on many countries’ photo app rankings. Users are able to choose from dozens of different frames to create one-of-a-kind, manga-style works of art from a wide range of photographic subjects including people, objects, and scenery. 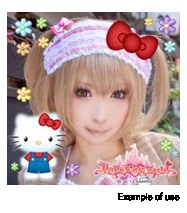 Now, users will also be able to use Hello Kitty World frames with Otaku Camera. Hello Kitty World is an iPhone and iPad game app offered by SANRIOWAVE CO., LTD. and NIFTY Corporation (http://www.nifty.com/hkw). 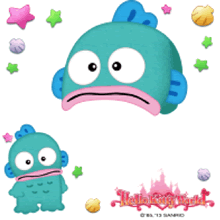 Together with the popular Sanrio character Hello Kitty, players can build their own amusement park. With this collaboration, Otaku Camera users can now “take photos” not only with the world famous Hello Kitty, but also with other cute Sanrio characters, including My Melody and Pompompurin. 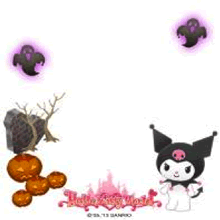 The six different full-color Hello Kitty World frames will be available for download until March 31. TOM intends to create a new way for the worldwide community to enjoy Japan’s otaku content via a smartphone app., and many more Otaku Camera anime, manga, and popular character frame collaborations are expected in the future. 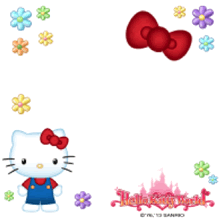 Hello Kitty World is an iOS game app offered by SANRIOWAVE CO., LTD. and NIFTY Corporation. 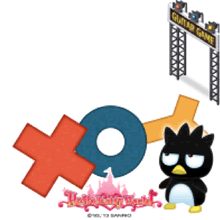 Together with Hello Kitty, users can create their own amusement park. 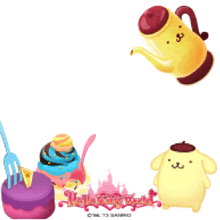 Many other greatly loved Sanrio characters appear in the game, including My Melody, Little Twin Stars (KiKi&LaLa), Cinnamoroll, and more. The user base of the app only continues to grow with the game having been downloaded more than 920,000 times worldwide. (as of January 26th, 2013) . Otaku Camera is an iOS and Android app that allows users to ‘manga-tize’ any pictures from their mobile devices. With over 60 different frames to choose from, users are able to create one of a kind, manga-style works of art from a wide range of photographic subjects including people, objects, and scenery. The interface also allows users to effortlessly shoot and create manga-style pictures using either the front or back camera on their mobile devices. Additionally, users can also ‘manga-tize’ any pictures already in their Camera Roll. Photos created with Otaku Camera can be easily enjoyed with friends and family by instantly sharing them on social media sites such as Facebook and Twitter, or by saving them to their device. Choose from over 60 frames. Tokyo Otaku Mode™ (TOM) was created on March 24, 2011 by President and CEO, Tomo Kamei. TOM was incorporated in the state of Delaware, U.S. in April 2012. TOM began on Facebook (http://www.facebook.com/tokyootakumode), the world’s largest social networking site, as a page for introducing news and events related to otaku content to the world. Within 22 months of operation, TOM has accumulated over 10 million likes on Facebook, becoming the largest Facebook page run by a Japanese company. TOM’s website (otakumode.com) is now open to the public. With the newly launched website, users can enjoy otaku-related news and upload their self-created content. TOM announced in July 2012 that it has received funding from Silicon Valley startup accelerator 500 Startups, Richard Chen, and Maneesh Arora, as well as other Silicon Valley and Japanese angel investors. TOM’s new web service will provide a platform for fans and hobbyists of otaku culture to share content, connect with one another, and for content-creators to be fully credited for their work. TOM hopes to create a community of respect between content-creators and fans, while enriching the otaku lifestyle and contributing to the global entertainment market.